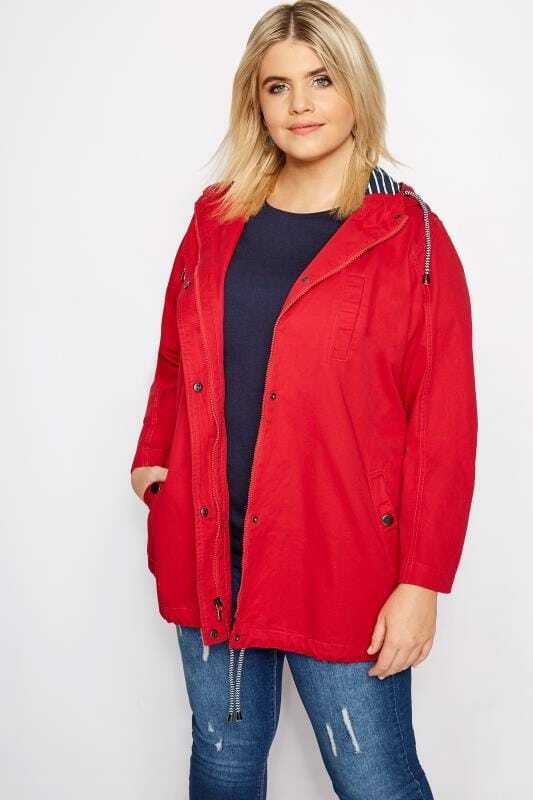 Embrace the outdoors with our range of plus size coats and jackets. Parkas and puffer jackets will ensure that you stay warm all season, while raincoats are your go-to for drizzly weather. Biker jackets bring a fresh new feel to your casual look, and faux fur takes you from week to weekend with ease. From lightweight layers to insulated options, discover new-season outerwear in size 46 to 64. No wardrobe is complete without new-season outerwear. 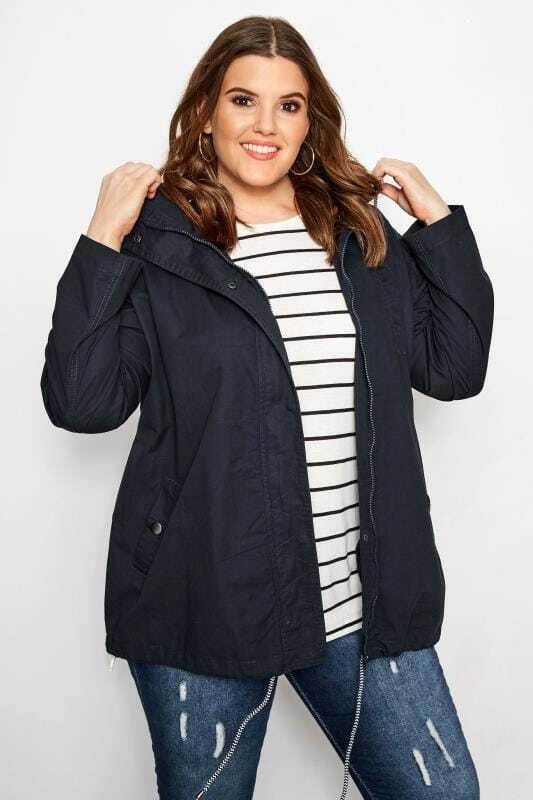 Shop our range of plus size coats and jackets to find styles you love in sizes 44 to 64. This season’s fashion forecast features elegant duster coats, plus size biker jackets and stylish parka coats in brand new, on-trend designs. 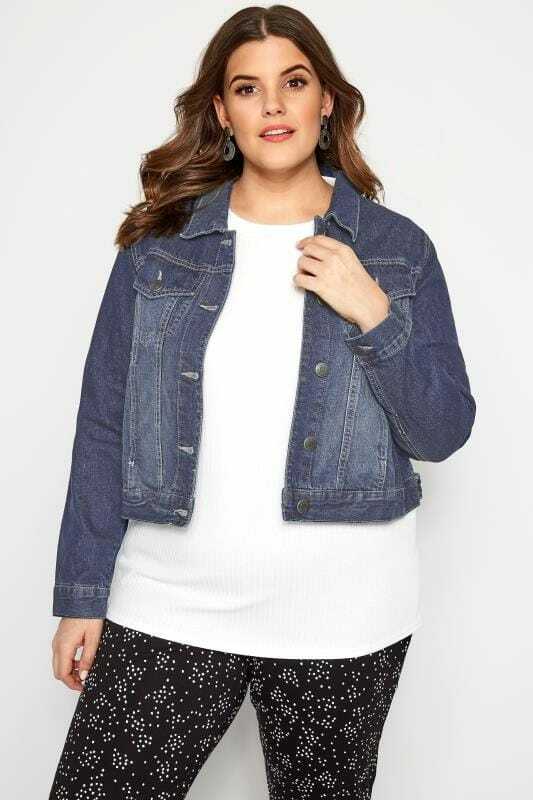 Whether you’re looking for something cool and casual or something more fashion focused, find coats and jackets to suit every occasion and style. This season your casual wardrobe gets a refresh with classic denim jackets, leather-look designs and easy-to-wear duster coats. Biker jackets are your go-to piece for an effortlessly cool look, whilst duster coats can be thrown on over any outfit for an instant style update. In on-trend designs, our collection features monochrome hues with pops of colour as we make our way into the new season. For a workwear look that breathes elegance and sophistication, discover our range of plus size blazers and duster coats. Lightweight and easy-to-style, shop flattering crepe fabrics in mono and neutral tones for an office-ready outfit. 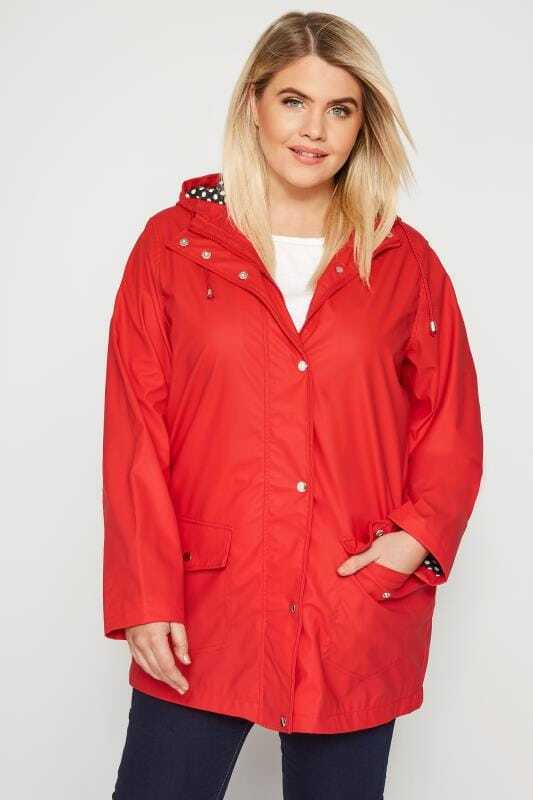 For the woman who loves the outdoors, look no further than our range of trendy plus size coats. 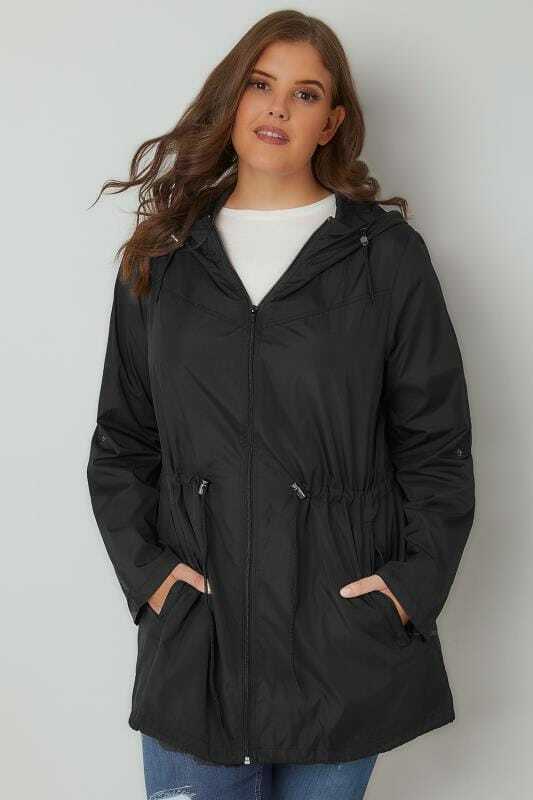 From winter coats such as puffer jackets and parkas with faux fur hoods, to lighter options such as raincoats and macs, find the perfect outerwear garment to keep you feeling warm and dry whatever the weather.